Presented by the Wassmuth Center for Human Rights, home of the Idaho Anne Frank Human Rights Memorial. Made possible with funding from the Morrison Center Endowment Foundations, we're drawing from the stories in the Memorial to share a larger, personal story with students and the broader community. With musical performance by Steve Eaton. P1 ($25.00) tickets include post-show reception in the Founder's Room at the Morrison Center. 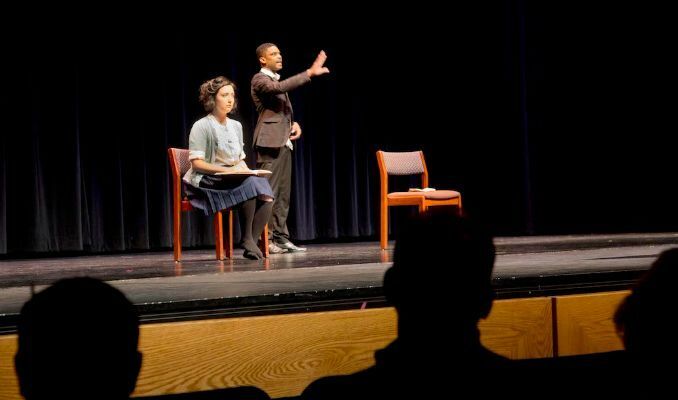 The powerful stage reading is performed by New York-based actors Wesli Spencer, who portrays Dr. Martin Luther King, Jr., and Alexandra Gellner as Anne Frank.